by Brittany Chapman Nash, Richard E. Turley, Jr.
You will become reacquainted not only with such well-known figures as general Relief Society president Belle S. Spafford and Camilla Eyring Kimball, wife of President Spencer W. Kimball, but will also meet Kasimira Viktoria Cwiklinski Wurscher, who led the Relief Society in communist East Germany for more than twenty years; Edith Papworth Weenig Tanner, a British spy during World War I; and Maria Guadalupe Monroy Mera, who endured deep persecution, including the martyrdom of her brother, for her family's acceptance of the restored gospel in Mexico. The faith these women exhibited as they rejoiced in blessings and dealt with struggles provides a model for us today in facing our own challenges as we too strive to build lives of faith. I have thoroughly enjoyed these books and how much I have been in awe of each of the stories. I cannot wait until the next volumes come out! 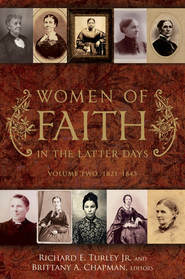 I have been awaiting this volume, which moves from the pioneer era into the early-twentieth century. Not that the pioneer era isn't just as important, but these more modern stories are ones that are rarely told. This volume includes diverse voices from around the globe, but some things they all share in common are facing the horrors of global war, flu and smallpox epidemics, and child loss. 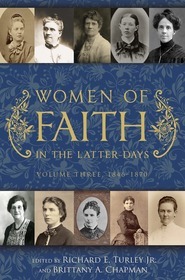 The faith and resilience of these women is incredible, and their focus on eternal family rings true to the Latter-day Saint experience a century later. A remarkable volume!